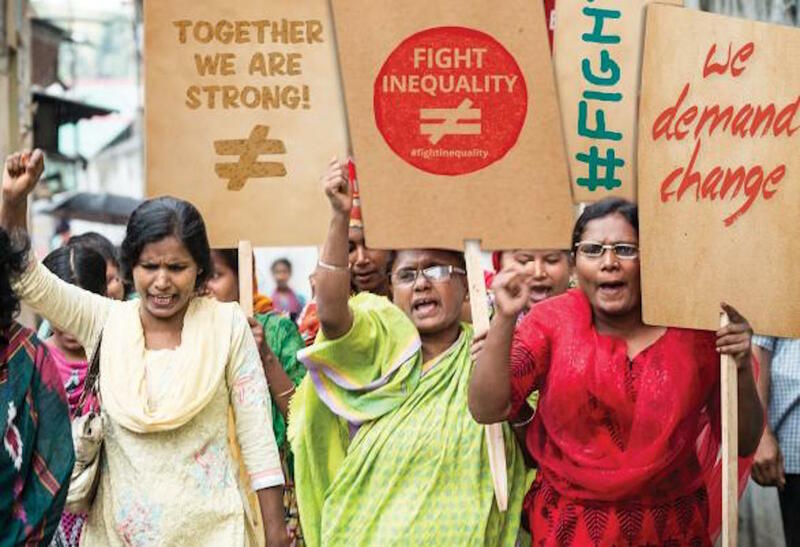 Members of the Fight Inequality Alliance will from January 19th to 26th, mobilise across the world to highlight the crisis of rising inequality and demand the end to the age of greed and for a more equal society. The 2018 Week of Action takes place under the theme 'End the Age of Greed' and will be parallel to the annual World Economic Forum, a meeting of the world’s elite in the financial sector. Each year, members of the Alliance such as Tax Justice Network Africa (TJNA) come together through various activities in different cities (and online) across the world in a show of unity against the break down of the global socio-economic structures that has gradually led to a widening of the gap between the rich and poor. A 2017 Oxfam report showed that half of the world’s wealth is owned by eight people. Join in the activities, both offline and online, and make your voice heard. Together we can put an end to the age of greed!